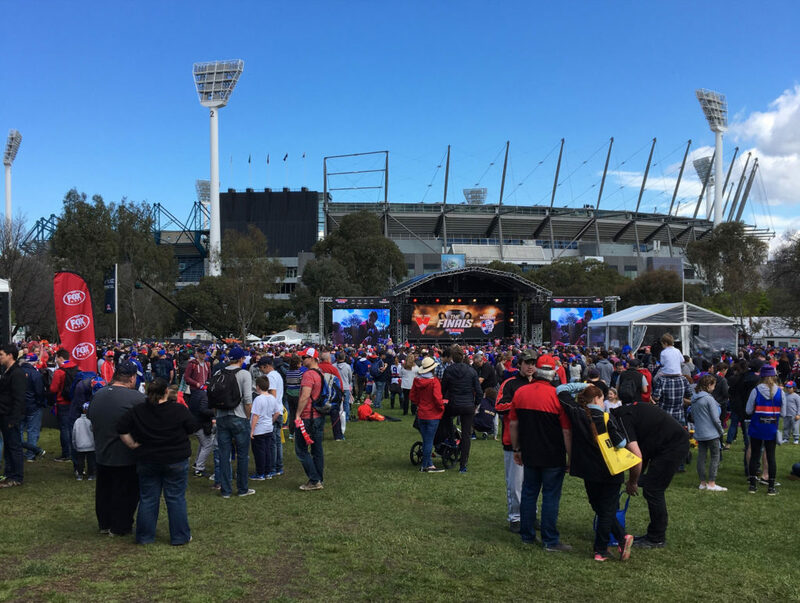 You may have known that there was a very big sporting event last weekend here in Melbourne…the big dance…the AFL Grand Final. Sadly our beloved Geelong Cats fell at the last hurdle, so it was the Western Bulldogs against the Sydney Swans. 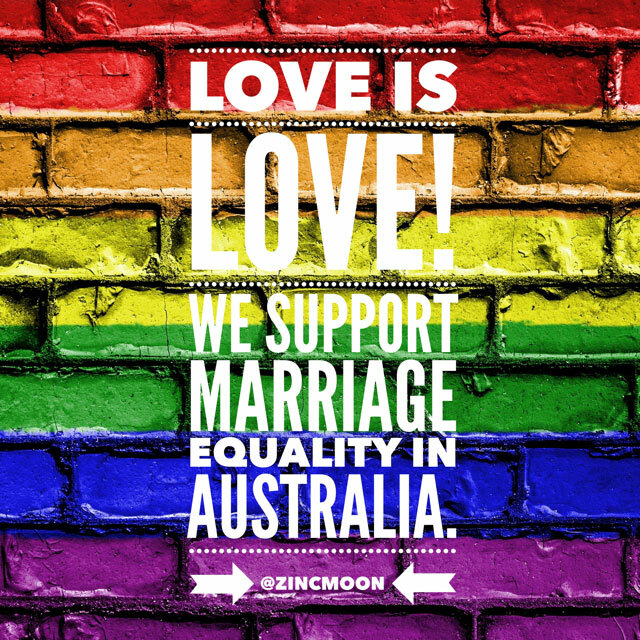 Two cities against each either….except it wasn’t. 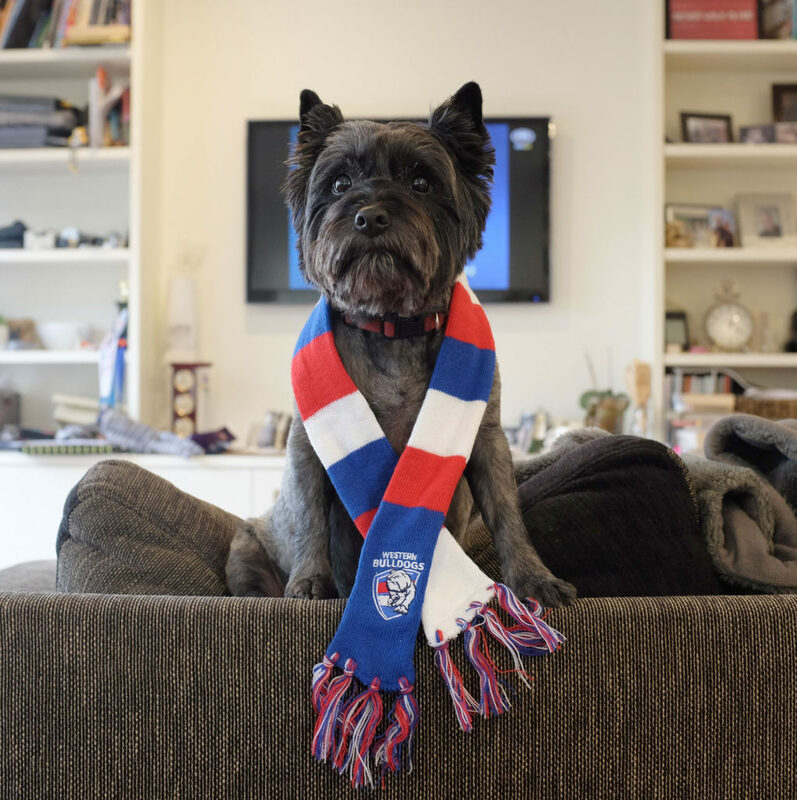 It seemed that if you weren’t a Swans supporter, you were going for the Doggies. We all jumped on the bandwagon as it was such a fairy tale rise….no team has come from 7th and won on the first Saturday in October! 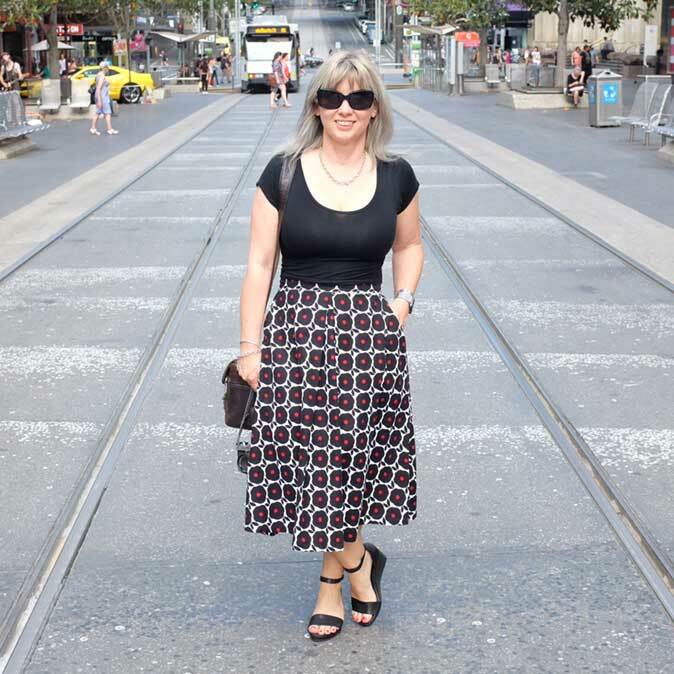 We went into the city for the Grand Final Parade on the Friday…there was so..many…people!! I hate crowds and we made the mistake of trying to get to the start of the parade, only to get caught up in the crush. But everyone was happy, the sun was shining…all was well with the world. 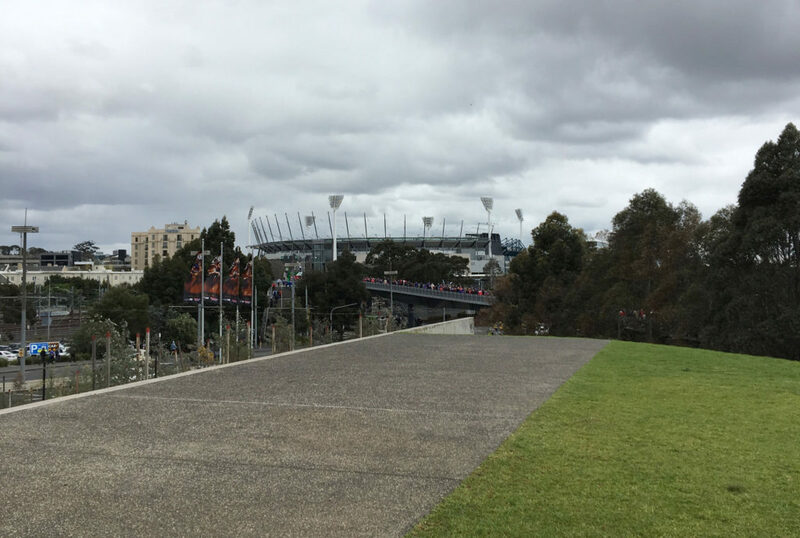 We gave up seeing the parade and made our way down to the MCG…the sports mecca…the hallowed ground. It wasn’t as crowded there as many were still watching the parade, but when Mike Brady started singing One Day in September…now October…live on the big stage, it sent tingles down my spine. The parade finished and then thousands of people started to stream into the precinct. It was all quite an experience and the game was still 24 hours away! 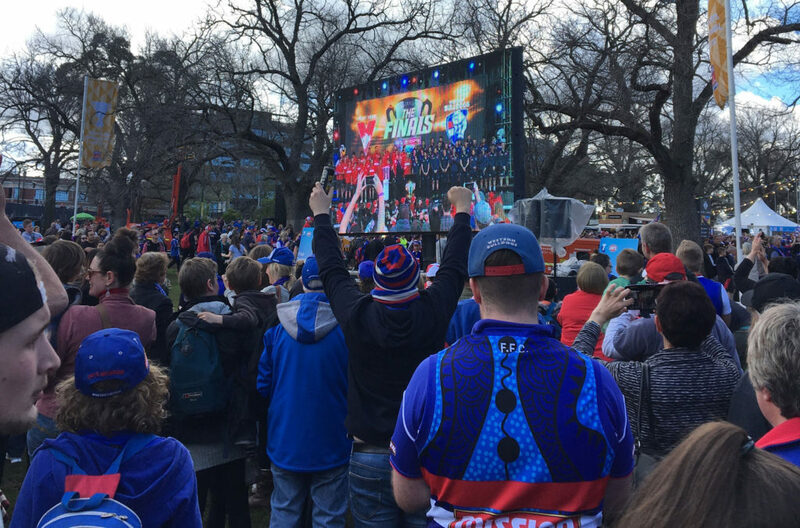 The next day…Grand Final Day…we decided to head back into town just to soak up the atmosphere. 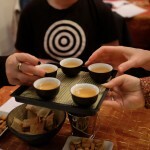 The weather was a little inclement, but spirits were high and the city was buzzing. 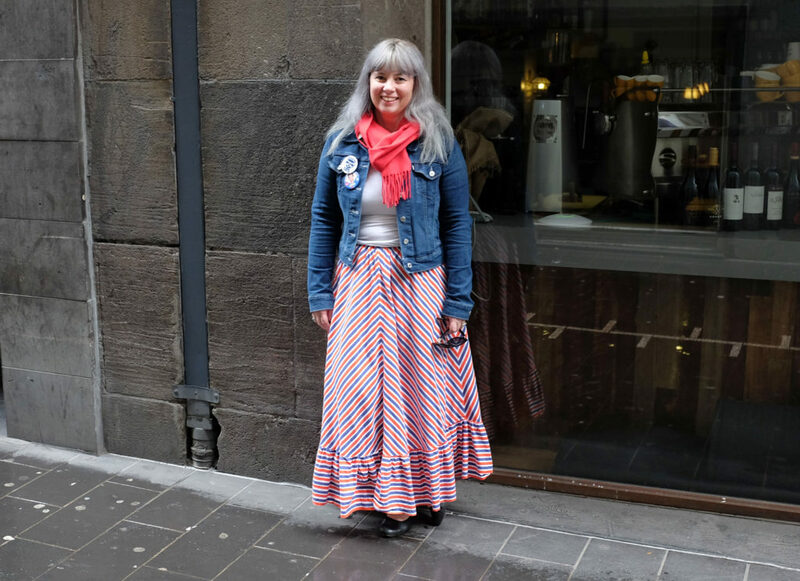 I dressed up in red, white and blue… a vintage skirt I rediscovered in my wardrobe was perfect! 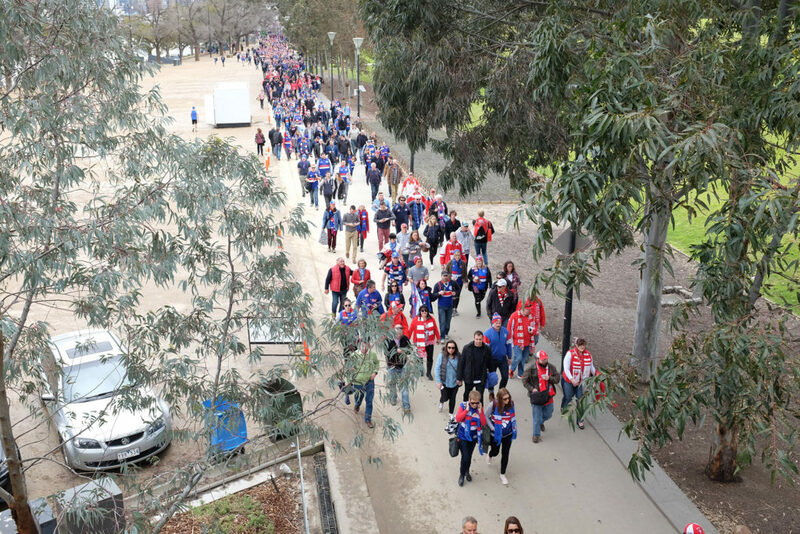 We watched as streams of people made the pilgrimage to the MCG…. Now usually I can take or leave footy if our Cats aren’t playing but this game kept me glued to the screen…I even asked my husband to turn it off near the end as I couldn’t stand it. But the Doggies won…against seemingly all odds…the underdogs became the wonder dogs! And then I had tears as the coach gave injured captain, Bob Murphy, his medal. A wonderful gesture that was all class and applauded by all. As soon as the final siren went, the western suburbs became party town, and we all celebrated with them…the city of Melbourne united. The 2016 AFL Grand Final will be one to remember, even if you weren’t supporting either team…a well fought battle that saw what many said was impossible…a team that was 7th come out on top! And what a way to finish the season! We are now back to being Cats supporters and hope 2017 will be our year…Go Cats!! Did you watch the game? Who were you supporting?